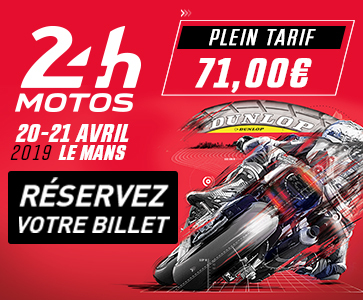 Sixth at the finish of the 24 Heures Motos, Tati Team Beaujolais Racing topped the Superstock category and also picked up the EWC Dunlop Independent Trophy, winning €5,000 worth of prize money. The team placed ahead of Moto Ain CRT and AM Moto Racing Compétition. 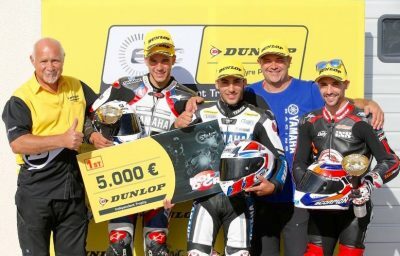 Moto Ain CRT turned in a fantastic performance at the just-concluded Bol d’Or, the opening round of both the FIM EWC 2016/2017 championship and Season 2 of the EWC Dunlop Independent Trophy. 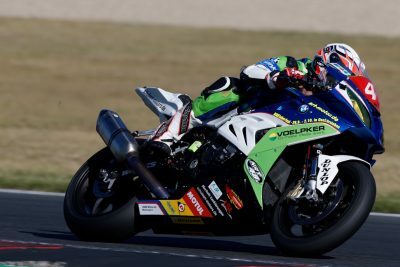 Sixth past the finish line at the Bol d’Or and winner of the Superstock class, Moto Ain CRT also carried off the EWC Dunlop Independent Trophy, earning €5,000 in prize money. The team finished ahead of Tati Team Beaujolais Racing and Völpker NRT48 Schubert Motors. 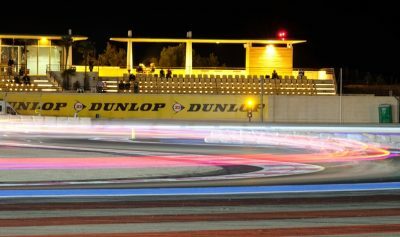 Nine teams using Dunlop tyres are competing at the Oschersleben 8 Hours. The winner of the race in Germany will take home €10,000 worth of prize money. 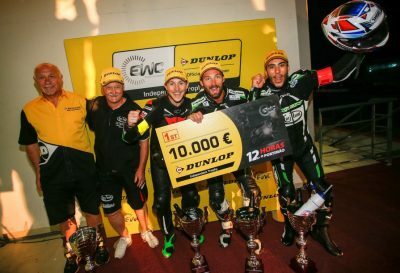 Tati Team Beaujolais Racing won the EWC Dunlop Independent Trophy at the 12 Horas de Portimão, beating Völpker NRT48 Schubert Motors and AM Moto Racing Compétition. 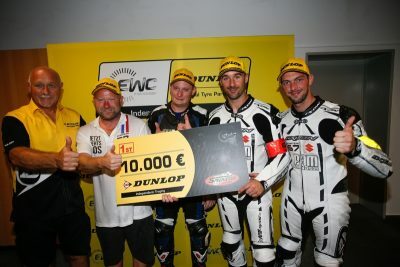 The win netted the team €10,000 of prize money.